The streamer’s case seems close to a solution. Tfue shared with his Twitch viewers on March 18 that he had an unidentified problem on his neck that made it swell a lot. At first, he said he went to the doctor and they couldn’t find the cause—and that in a worst-case scenario, he’d need to have surgery to treat it. The cause of the swelling hadn’t been identified. He first tried a treatment with antibiotics, which failed and forced him to go to the emergency room to check on the swelling with a specialist. Once there, Tfue had a CT scan that was also inconclusive, and he had to visit another specialist to do more tests to find out what was causing the neck swelling. 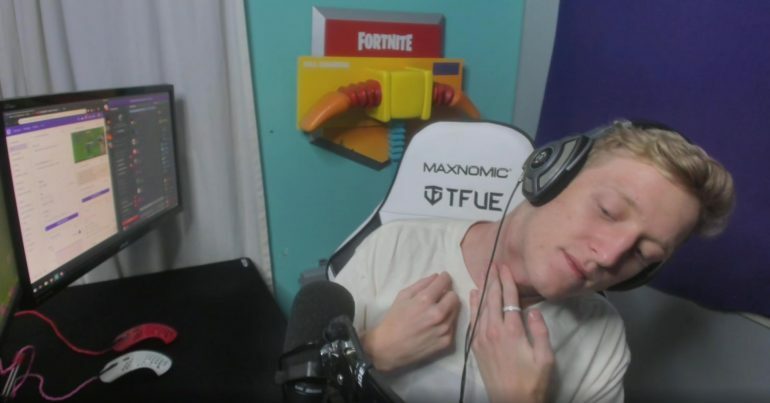 Tfue’s own theory about his injury was that it had something to do with dehydration while streaming Fortnite, since he was also having “the worst headaches ever” after getting up. Apparently, Tfue’s case is now nearly solved, or at least it’s not something serious. He’s been streaming and playing Fortnite normally since the injury was discovered and has yet to share further details about his diagnosis or what has came back negative from his latest tests.